As we move into the season of giving, we find our schedules packed with events, shopping and festivities and not much time to enjoy the little things. Whip up this Chocolate Fudge Bundt Cake with Chocolate Ganache and Walnuts for a quick visit with friends where you can relax, enjoy catching up and a few laughs. Chocolate. It earns it’s own sentence because really there isn’t much else to say about an ingredient that always hits your sweet spot. 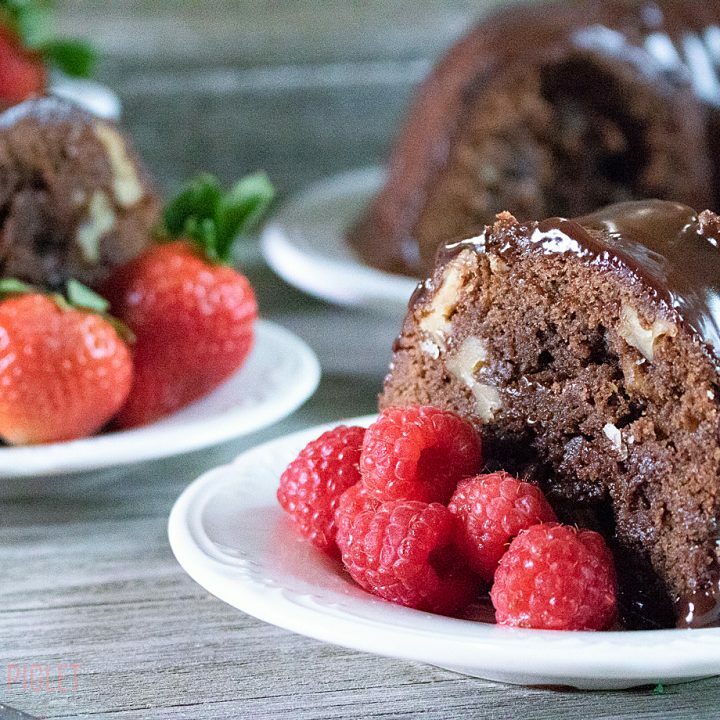 This Chocolate Fudge Bundt Cake is an easy recipe to make but a show-stopper for an after dinner dessert or just a slice of cake with a coffee date. Chocolate Fudge Bundt Cake smothered in chocolate ganache and crunchy walnuts within, creates a a melt-in-your-mouth decadence of savoury deliciousness where you want to just close your eyes and waft in all the flavours in a mini-moment of pleasure. This cake is moist with a fudge cake texture to please any taste tester. With a few classic sweet treat ingredients, you’ll be grabbing a second slice of this Chocolate Fudge Bundt Cake. 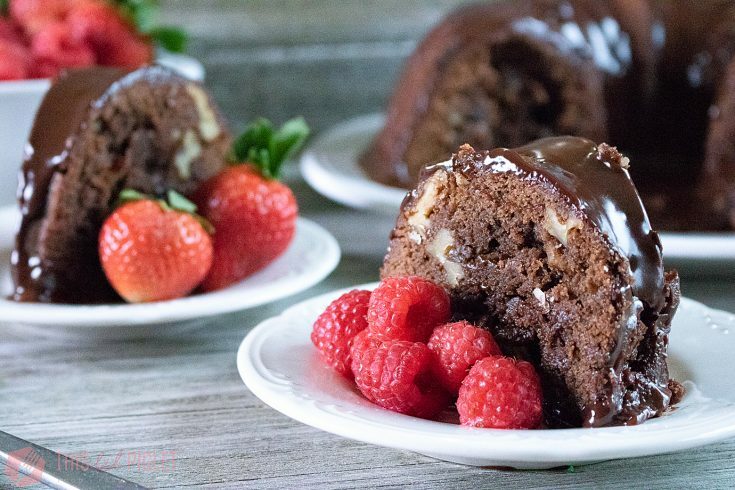 Bake up a Chocolate Fudge Bundt Cake before the weekend; it’s a delicious dessert to offer to guests or have on hand as a perfect dessert to hit your sweet tooth. 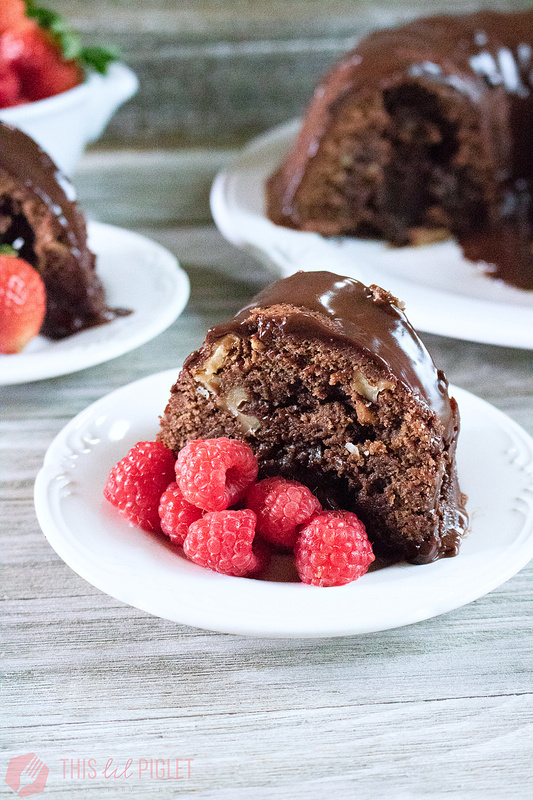 Chocolate Fudge Bundt Cake smothered in chocolate ganache and crunchy walnuts within is moist with a fudge cake texture to please any taste tester. In large mixing bowl, cream together butter and sugar. Add in eggs one at a time while mixing. Fold in powdered sugar until mixed through. Add in flour half at a time and mix well until blended. 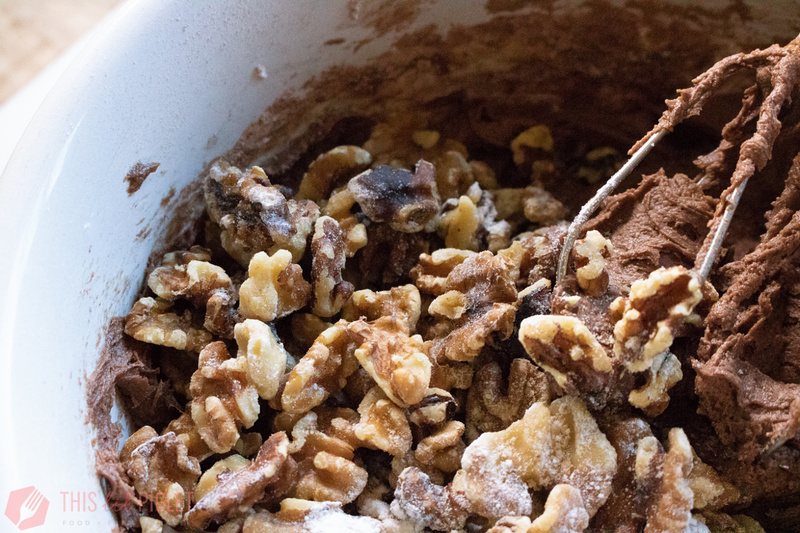 Fold in the walnuts until mixed through. Spray a bundt pan with non-stick cooking spray and spoon mixture evenly into the bundt pan. Bake for 50 minutes. Remove from oven and let cool on a wire rack for 2 hours before inverting onto a plate and letting it sit for another 1 and ½ hours prior to topping with ganache and serving. The toothpick test does NOT work with this cake. 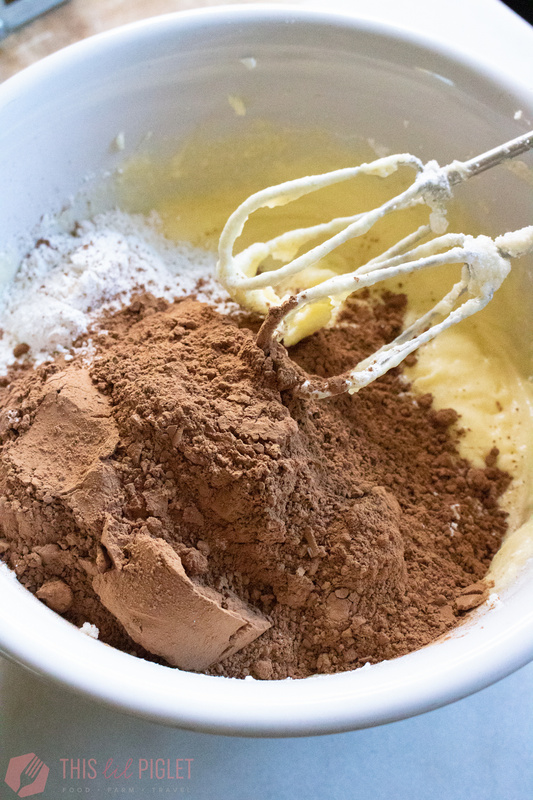 To make chocolate ganache, melt chocolate chips and heavy cream over medium low heat in a saucepan; stir to avoid burning to the bottom. Cool ganache in the refrigerator to thicken slightly and then spoon over the top of the cake when ready to serve.